I was teaching a lot of great skill-builder classes in the spring at Rock Paper Scissors, and during kids camp sign-up one of my students came in with a brilliant idea. And a class was born: Quilt Camp. One day for adults away from responsibilities where we can sew and pick up a few new skills along the way. Three lessons, lunch included, surrounded by good quilty people and beautiful fabric, with wine and cheese at the end of the day. More than just a class. Less commitment than a retreat. Quilt Camp. 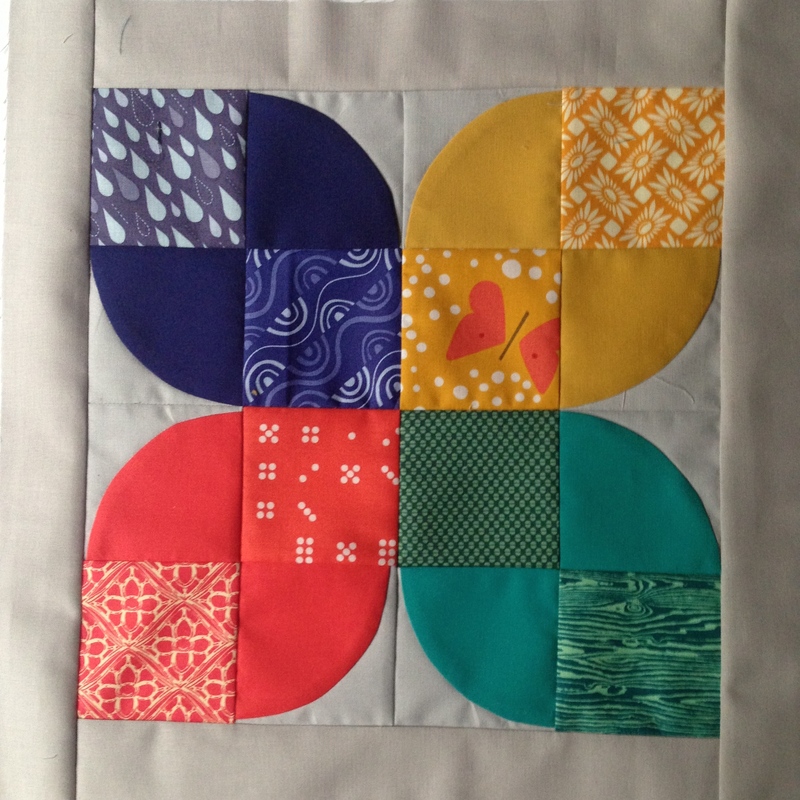 I’m going to add an improv border before quilting and binding. I hope to bring it to the store ASAP. But I’ll naturally post the finished piece here too. 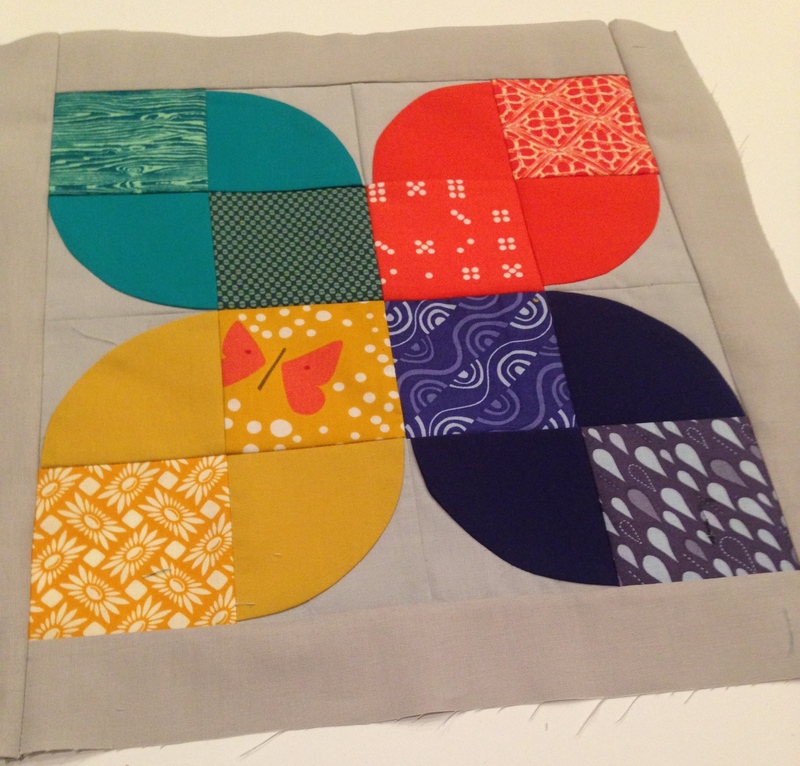 At the end of Quilt Camp, we’ll share a drink and the pretty things we’ve made. If you’re in the North Jersey area I hope you can join us– I’m really looking forward to it. Sign me up for that teleport line! Melanie, I just *love* your class sample!!! You never cease to inspire me!!! Sounds perfect!! I wish I could come!